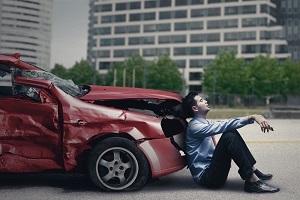 Being involved in a serious car accident can be an emotionally traumatic experience. If you’ve developed severe anxiety, depression, post-traumatic stress disorder (PTSD), or another mental health disorder following a car accident caused by another driver’s negligence, you may be entitled to compensation. In addition to looking for signs of physical injuries, it’s important to be on the lookout for signs of emotional distress following a car accident. Although it’s normal to be upset immediately after an accident, changes in mood or behavior that persist for several weeks or months could be signs of a more serious problem. There is evidence to suggest that people with a past history of anxiety, depression, and other mental health disorders are at an increased risk of psychological problems following a car accident. Being involved in an accident that causes permanent disability or leads to the death of another person also increases this risk. Treatment for psychological distress following a car accident generally involves therapy or medication to address specific symptoms. In most cases, your family doctor will refer you to a psychiatrist or psychiatrist with experience in treating trauma-related mental health concerns. With proper treatment, most people who are suffering from psychological injuries will learn to manage their condition. However, ongoing care may be needed in severe cases of anxiety, depression, or PTSD. You can also seek compensation for your pain and suffering. This category of non-economic damages can provide compensation for your emotional distress and the psychological impact the accident has had on your daily life. Since pain and suffering is a concept that’s difficult to objectively measure, attorneys often use a multiplier method, in which your verifiable economic damages are multiplied by a number between one and five. The multiplier used depends upon the severity of the accident, with severe accidents resulting in disability and/or fatal injuries using the highest multipliers. Many states have limits on the amount of money that victims can be awarded for pain and suffering in a personal injury case. However, Georgia does not have a cap on such non-economic damages. A journal detailing your symptoms and changes in your routine since the accident. Letters from your employer, co-workers, close friends, minister, or others who have noticed a change in your behavior since the incident. Testimony from your psychiatrist or psychologist. Working with an experienced personal injury attorney is the best way to ensure you receive the maximum compensation you’re entitled to under the law. Your attorney can help document your symptoms and advocate for your needs throughout the settlement or litigation process. Rechtman & Spevak is committed to assisting Georgia residents who’ve been injured due to the negligence of others in obtaining the settlements they deserve in order for them to move forward with their lives. Call 404-355-2688 or complete our contact form on this page to learn more about how we can be of assistance.